While planning Shannon G’s mustache themed baby shower I had to decide on a traditional cake or go with cupcakes. Her favorite flavor of cake is almond (like me), so I knew I could pull that off. But making a cake that would reflect both the mustache and baby girl theme was proving daunting. Plus, I have this fabulous 3 tiered hot pink server that I’ve been dying to use. So cupcakes it is! 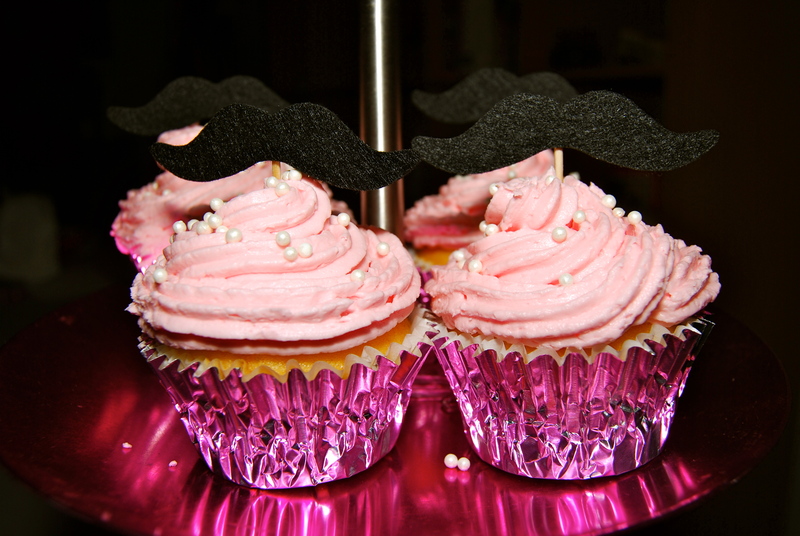 I knew I wanted the icing to be pink but I needed a mustache in there…enter mustache on a stick! I Googled mustache on a stick and found a ton of them at Etsy. LOVE Etsy. I found quite a few sellers with mustaches on sticks but the quality just wasn’t all that great. I was thinking maybe I could make them myself but then I saw MaroDesigns and everything changed. Their attention to detail is incredible and more importantly they are affordable. I knew I wouldn’t be able to buy all the supplies and make my own mustaches on sticks for near the same price or quality. I messaged them and told them I needed 20 mustaches on sticks for cupcakes and would that be possible? 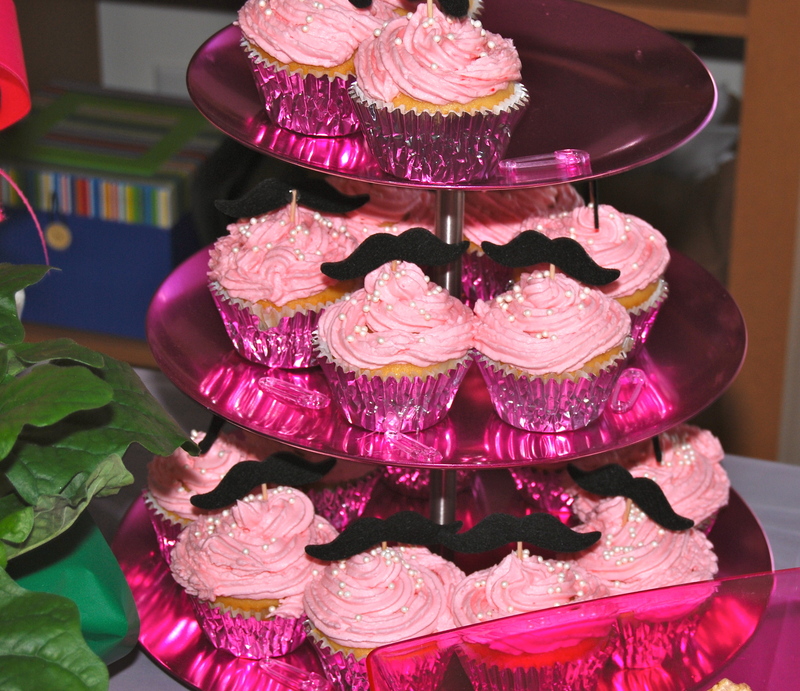 Sure enough they were able to create adorable little staches that were perfect for my cupcakes! The tiny mustaches were delicate and fragile but they were packed with such care that they arrived in perfect condition. I could not wait to use them! 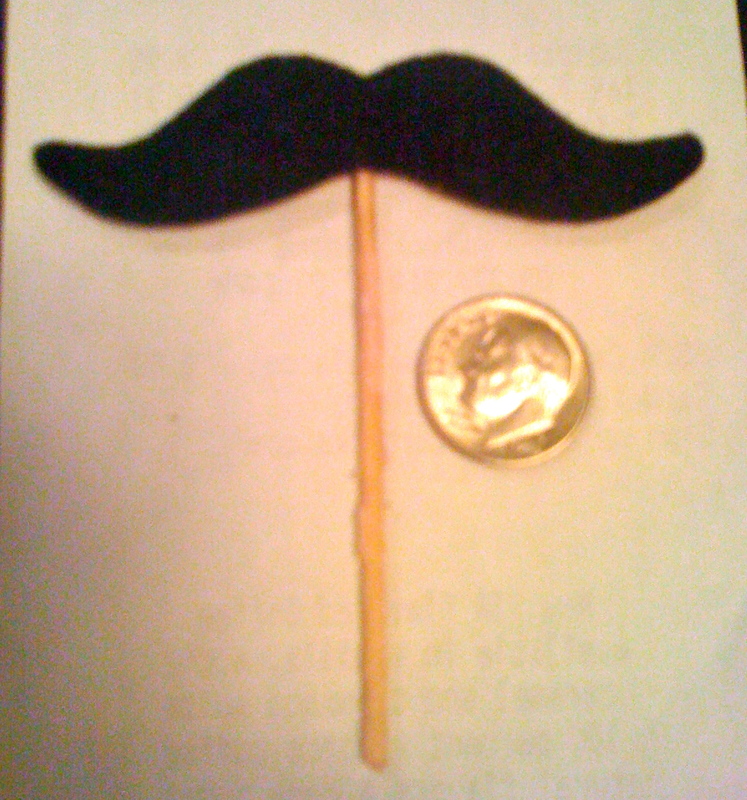 They were the perfect size for cupcake picks AND for holding up to your face to be your mustache for photo ops! Be sure to go check out MaroDesigns for all your things on a stick needs! I made almond flavored cupcakes and homemade almond buttercream icing. I couldn’t find hot pink cupcake liners that I liked so I used silver foil. They reflected the hot pink of the server so they appeared pink until you took them off. Genius! I added tiny little white sugar pearls to girl them up a bit. I was very pleased with how they turned out! I'm married to CSP (Cap'n Safety Pants) & mom to 2 pugs. I’m a list maker, a major planner, passionate, loud talking, and big laughing. I am a Medical Coder by day, and also an Independent Stylist with Color Street. I earn money from Ebates.com every time I shop online! Click here and you can earn $$ too! © 2001-2019 Shannon Redwing. Don't steal my stuff, ok?